Lisa, what is it that fascinates you about human anatomy? In general I'm drawn to the shapes, textures and colours I see in anatomical imagery. More specifically, in the case of cross-sections, I'm attracted to the shapes the different anatomical features make when they are all squished together to fill up the available space. Why use the medium of quilling? 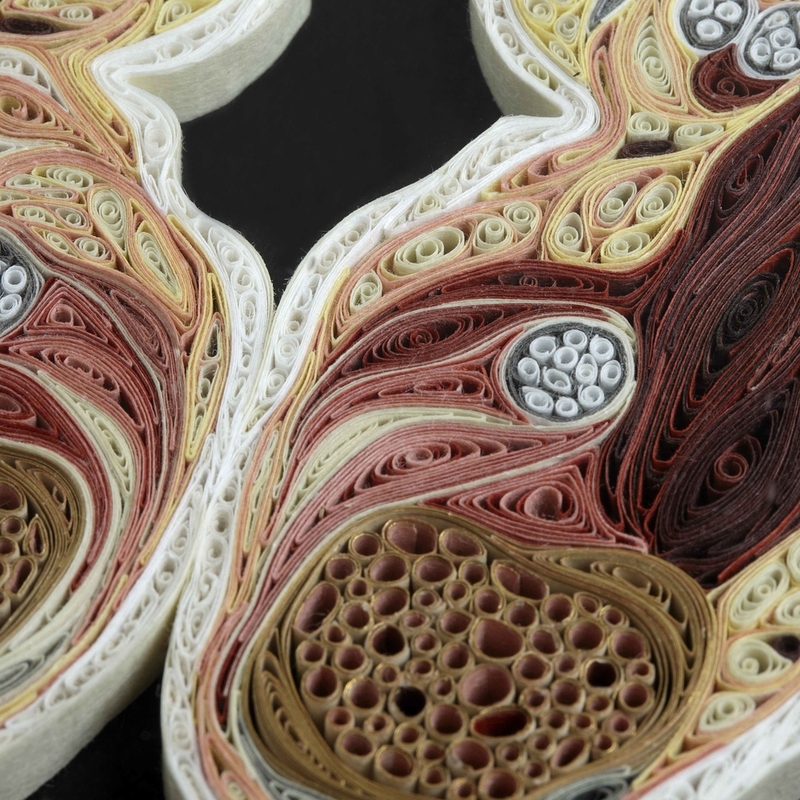 While I experimenting with quilling for another project, I saw a connection with the shapes and textures I saw in an image of an anatomical cross-section that a friend had sent me. How long did it take you, on average, to complete each piece? The smaller pieces in the series took three or four weeks, the larger up to three or four months. The larger pieces were definitely the most challenging. I am continuing to explore the possibilities of the medium of quilling. I have moved away from anatomical subject matter, now using and expanding on what I learned from making the Tissue Series to make pieces that are inspired by, among other things: Persian rugs, early book bindings and medieval jewel-encrusted gospel covers. This new, more geometric work has opened up my colour palette and the possibility of make new shapes and textures from coiled paper strips.